Just the mere thought of buying a bed intimidates most people. A quick online search will reveal a long list of results, making it more challenging for you to pick a bed that will perfectly suit your needs. Among the many existing types of beds, one that you might want to consider is a full-size loft bed. What exactly is a full loft bed? Where is the best place to buy one? What are the factors that should be taken into consideration? If you are looking for answers to these questions, read on and learn from the insights we’ll be sharing in this short post. What is a Full-Size Loft Bed? Essentially, it is what the name implies – a full sized bed with a loft. This way, the bottom part does not come with a bed. It can be utilized in more ways than one. Often, it has a desk and a chair, making it great for students or young urban professionals. The bottom part can also be used for storage. It has a ladder that leads to the bed on the top bunk. In terms of size, a full-sized bed is the same as a double bed. So, the bed that is used in this type of bed configuration, or the mattress, has a length of 75 inches and width of 54 inches. It may be quite small for two adults. 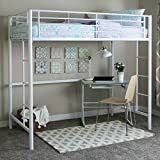 These days, more and more parents are choosing this for children and teenagers as it is a great way to maximize the use of available space in the bedroom. No idea where to get a loft bed full? Below are some of the websites that you might want to check out for a convenient way to shop! If the diversity of product selection is what you are looking for, we suggest that you look for full size loft beds at Amazon. You can see reviews with Verified Purchase tags, which means that these opinions are shared by actual buyers and users of the bed. They also have a service called Amazon Home Services, which basically allows you to take advantage of the expertise of one of their pros to complete the bed’s assembly. 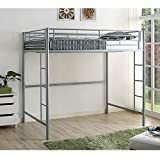 Their website also has a great selection of full size loft beds, including items that are used. You can filter the search results based on finish, material, and color, among other categories. 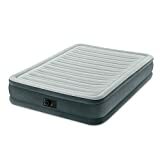 They also carry beds from major brands, including Ikea and Pottery Barn. The price can go as high as $2,000. Whether you want a full loft bed with ladder, slide, desk, storage, or other features, you can find them at Walmart. Because Walmart has stores all over the United States, there is an option to pick up the bed by yourself, which will help you to save on shipping costs. They also have special deals, such as Rollback and Clearance. 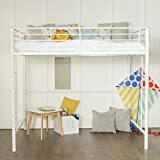 It is another website where you can find an endless selection of full loft beds, which are perfect for both kids and adults. They carry some premium brands, as well as those from affordable companies. In most items, you can be eligible for free shipping. What Should You Consider When Buying Full Size Loft Bed? Decide on the function of the loft bed so that you can narrow down the options. Do you want the bottom area to be utilized purely for storage? Do you want it to have a work desk? Or, would you rather leave it open as space for kids to play? You also have to consider factors such as size, weight support, and customization, among others. See to it that there is enough space at the bottom bunk to move around. The ladder should also be designed in such a way that it will be safe and easy to access. The first thing that you have to do is to check the size of the room to make sure that the bed will fit. Also, consider who will be using the bed to choose the right size. Those used by adults or teenagers should be larger than one for children. The material used in the full size bunk bed will have a direct impact on its quality and aesthetics. Metal is a good choice if you want a minimalist or sophisticated look. Wood, on the other hand, will be excellent if you want a classic or vintage appeal. It is also great in terms of stability. As much as possible, avoid those that are made of plastic as they typically do not offer any significant advantage except that they are cheap. 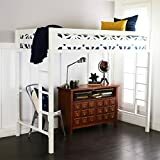 What are the Main Features of Full Size Loft Bed? The features of a loft bed full size will vary from one product to the other depending on its overall design. In most cases, the main feature is that the top bunk comes with a mattress. There is a ladder, and the bottom bunk does not come with a bed. Usually, the bottom bunk comes with a table or a desk. The space is big enough for you to fit in a chair. This will be a good place to work or study. In some models, the bottom bunk features drawers. There are cabinets that can be utilized for storage, which is a great way to save space in a room. In the case of a full sized loft bed that is designed for kids, the bottom bunk can also be a play area. These beds often come with inventive design, such as a fort or a castle. What are the Pros and Cons of Full Size Loft Beds? In sum, a full size loft bed is another great way to save space in the bedroom, especially if you have a high ceiling. 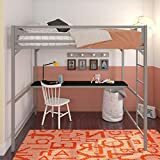 The top bunk is utilized as the sleeping area while the bottom bunk is designed in such a way that it can be storage, play, study, or work area, among other functions.